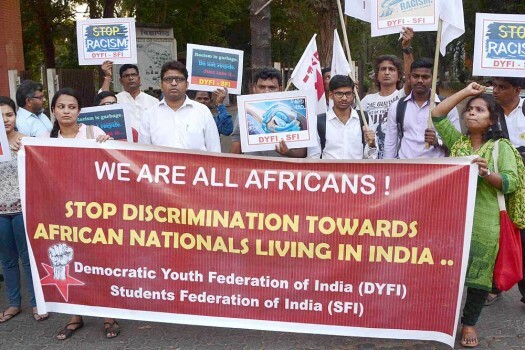 Activists of SFI and DYFI hold placards condemning the recent attacks on African students in Noida, in Mumbai. 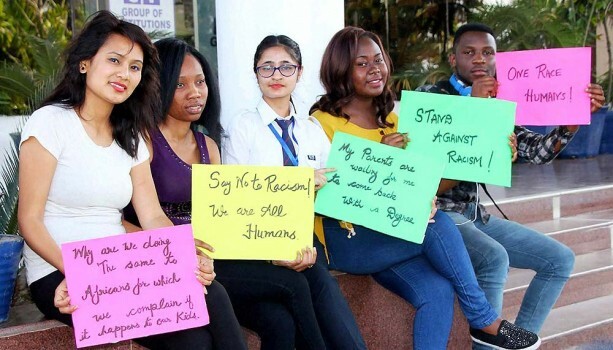 Foreign students protest in Jalandhar over the recent attacks on African nationals, in Greater Noida. 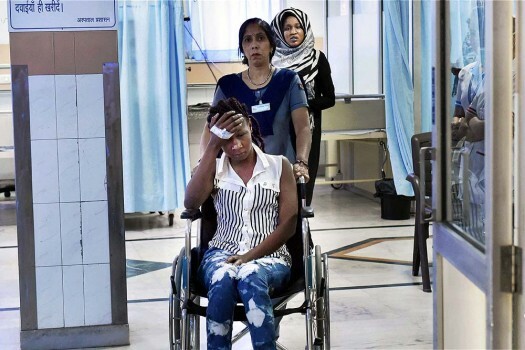 Samuel jack (L), President of African Student Association with other african students during media interaction on attack in greater Noida, in New Delhi. 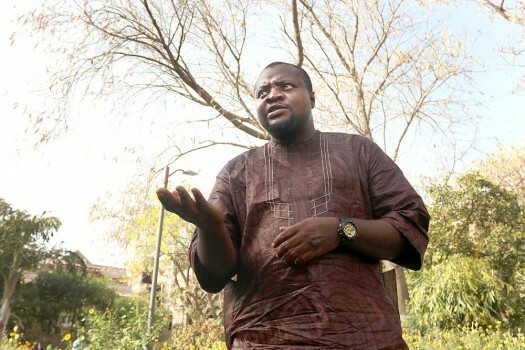 Ezeugo nnamdi Lawrence during media interaction on attack in greater Noida, in New Delhi. 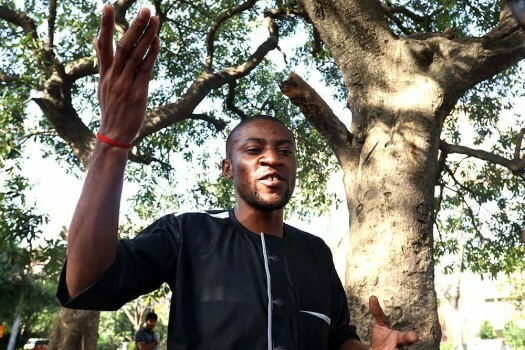 Rodrique Kazamba during media interaction on attack in greater Noida, in New Delhi. 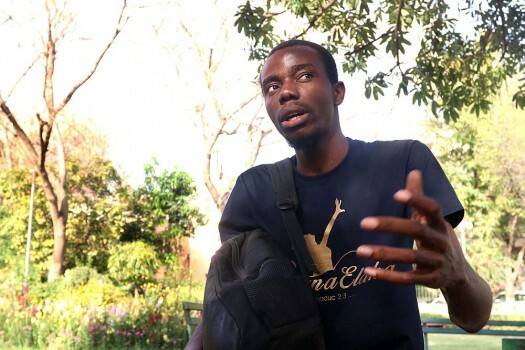 Samuel jack, President of African Student Association during media interaction on attack in greater Noida, in New Delhi.